In this blog you will learn method to create free virtual number for whatsapp which start from +1 number. Today whatsapp is most popular app for chat to your friends or relatives but this way you need to share your whatsapp mobile number. Sharing mobile number is not safe some time. 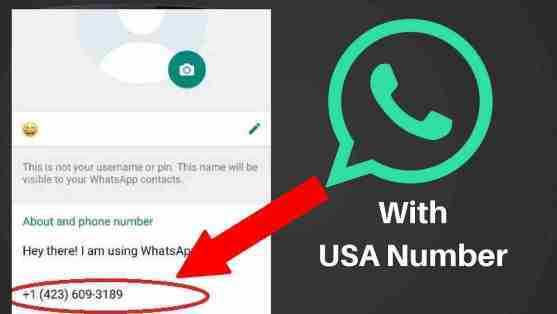 So if you want to hide your mobile number then create unlimited whatsapp accounts without mobile number with my article i also posted “activate whatsapp without mobile number” or create whatsapp profile with unknown USA number with this guide. Checkout SMS BomberPrank your friends by sending unlimited sms. Now you are verified with US number on whatsapp. Complete whatsapp setting by entering detail and use whatsapp with US number.